One of the main goals of naturopathic treatment is to support and work in tandem with the healing power of the body and to address the causal factors of disease with individual strategies. Keeping in mind one of the main philosophies of naturopathic medicine, being preventative medicine. Not only do we want to find the root cause of illness, but to educate patients about other risk factors in their lifestyle that may be detrimental to them in the future. That is exactly what I want to chat about today, practicing preventative medicine right when you decide to have a baby. I have focused this article on the health of the mother, but I just want to mention that it doesn’t mean that the father does not have a role in the health of your baby. It is just as important to ensure that the father is healthy since he is 50% of the equation! Many of the lifestyle, food and nutritional pointers I give, pertains to the father as well. I will be sure to write an article that focuses on male fertility and its role in preventative medicine. So stay tuned! The placenta was believed to protect babies in the womb from chemicals to which the mom might be exposed. A study done by the Environmental Working Group analyzed blood from the umbilical cord of a random selection of babies born in the U.S. hospitals. They found approximately 200 industrial chemical and pollutants, including consumer product ingredients. This is frightening since we don’t really know the impact these chemicals have on our bodies. It is a known fact that chemicals can have a profound effect on the brain and organs of a developing child, from what is seen with second hand smoke or alcohol use for example. Toxins may even have the potential to linger longer in the womb, since babies don’t have mature physiologic systems that can naturally detoxify these chemicals, like adults do, therefore it may have more detrimental effects. 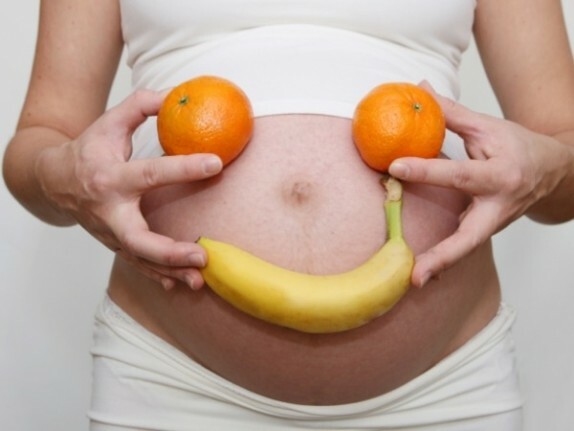 Food and lifestyle choices can have a significant impact on the health of yourself and the health of your baby. I am going to mention just a few points that I find important when I do a patient intake for a couple that is wanting to conceive or is pregnant. Keep in mind, what I mentioned before about “individualized” treatment. Every patient comes with their own unique concerns and their own unique nutritional demands. Therefore it is a good idea to consult your local naturopathic doctor or any primary health care provider to find the optimal treatment options and right doses specific to your concerns. 1) Iron – essential for blood production and blood volume in pregnant women, and can decrease the risk of your baby becoming iron-deficient. 2) Calcium – this is a very important element to take since the demand for calcium increases almost by double during pregnancy. As a baby grows in the womb, they take up as much calcium they need from the mother to ensure proper bone growth. Therefore, supplementation with calcium can reduce the risk of the mother becoming calcium deficient. That is something to watch out for, especially since calcium deficiency can increase the risk of osteoporosis in postmenopausal women. 3) Vitamin D – important for the baby’s teeth, bones, immune and respiratory systems, and play a role in decreasing incidence of colds and flus in your babies first years of life. 4) Folate – an important point that requires its own subtitle! Many studies have shown that folic acid supplementation is effective in preventing neural tube defects (NTD), which is the most common birth defect, affecting over 300,000 births globally each year. It is important for healthy development of the baby’s brain and may play a role in decreased risk of miscarriage and preeclampsia (high blood pressure). While food is the best way to get our nutrients, it is difficult to get the required daily amount. Foods that are high in folate: dark-green leafy vegetables, beans, chickpeas, lentils, nuts and seeds (esp. sesame seeds). Most prenatal vitamins contain the recommended dosage of 1mg/day. Although, depending on the ethnicity of the mother, you may require higher doses of folic acid, something to ask your naturopathic doctor. The benefits of taking EFA during pregnancy and while breastfeeding have far-reaching benefits that will be seen not only in your baby’s first years but also throughout their life. Since fish is only eaten in limited amounts during pregnancy, and fish contain high amounts of Omega-3 fatty EFA’s, supplementation can be beneficial. DHA has been shown to be crucial for development of the brain and retina. It can increase cognitive function, intelligence and IQ; decrease the risk of ADHD and other developmental disorders. EPA and DHA are shown to reduce the risk of preterm births and prolong the mean duration of pregnancy. A double-blinded trial found fish oil supplementation during pregnancy and breastfeeding reduced the prevalence of food allergies in infants during their first year of life. Many types of fish are high in mercury, a toxic metal that can adversely effect fetal brain development. Therefore it is recommended that women consume moderate amounts of fish and limit the intake of fish that is high in mercury, such as swordfish, king mackerel, shark, tilefish, marlin, halibut, pike, possible tuna and sea bass. Usually around 2 servings or 12 oz. of fish is recommended per week, while absolutely avoiding fish high in mercury. Studies have shown that after a few days of eating organic, you can see the reduction in harmful chemicals in the blood. Cost is sometimes an issue and finding a legitimate source. A good way to look at things that I mention to my patients who are on a budget are eating local and buy what is in season. By doing so, you are unlikely to encounter genetically modified and chemically altered foods. A good source is the “Environmental Working group” (http://www.ewg.org) that lists the absolute organic foods to eat and the cleaner foods that are lowest in pesticides (called the dirty dozen and the clean 15). There has been data shown to indicate many environmental toxins found in food packaging (BPA), plastics, and heavy metals, that cause negative effects on your baby. These endocrine disruptors can mimic hormones, which is not only detrimental to your baby, but can also cause reproductive problems, such as in estrogen-dominant concerns (uterine fibroids, endometriosis) or infertility. Can be associated with problems such as genital birth defects in baby boys and later development of diabetes in children and adults. Avoiding foods that come in plastic wrap, avoid heating foods in plastic containers are encouraged. Increase the use of glass storage containers and drink out of glass water bottles. Other environmental toxins include household cleaning products, cosmetics, such as lipstick that contain high amounts of lead. Being more aware and conscious about the array of toxins in the environment can reduce your baby’s prenatal exposure. A common misconception is to think you can increase your calories by double, since you are eating for two. That is not necessarily the case. The caloric needs are really only minimally increased to approximately 300-400 calories per day, meaning only half a sandwich and glass of milk per day! A healthy weight gain is around 9lbs in the firs 20 weeks of pregnancy and 19lbs in the second 20 weeks. A complication that commonly occurs when caloric intake is too high during pregnancy is gestational diabetes (high blood sugar). It can result from overeating and having a diet high in carbohydrates and refined sugars. This increases the risk of your baby becoming diabetic in his/her adolescent or adult years. Gestational diabetes can also increase the risk of cesarean section and other medical complications during birth. It can also increase the risk of the mother developing depression and Type 2 diabetes later on. Now it is obvious that every pregnant woman will experience cravings, and this becomes a problem when you get cravings for chocolate, sodas, sweets, and ice cream that become substitutions for healthy, nutritious foods. Cravings can indicate a specific nutritional need. For example, a craving for ice cream could indicate an increased need for fat, calcium, or protein. A craving for acidic foods, like pickles, may be a clue for more salt and calcium. A continued effort should be made before wanting to conceive, therefore making it much easier during pregnancy to stick with a healthier diet. An important point to mention as it is often overlooked in many cases with couples having difficulty conceiving or unexplained infertility. Any type of psychological distress can have an effect on your reproductive function, both male and female. Changes in immune function associated with stress or depression can really have detrimental effects on your reproductive health. There are also those direct effects from associated behaviors during times of stress that may interfere with trying to conceive, such as low libido, smoking and alcohol use. Elevated prolactin levels, disruption of the hypothalamic-pituitary-adrenal axis, and thyroid dysfunction, may occur if the body is in a depressed/stressed state. All those physiological imbalances can have a negative effect on your fertility. Stress can also affect your insulin and blood sugar levels that can cause many complications during pregnancy and can increase the risk of depression, anxiety, and obesity in your children. These are just a couple of tips to consider when wanting to conceive/during pregnancy to ensure optimal health for yourself and your baby. Pregnancy and the birthing process are normal physiological processes that can be positively supported through adequate rest, preventative nutrition, and the avoidance of harmful substances. The important thing to remember is that each pregnancy is unique, and although there are certain universal factors to consider, the most important preventative medicine is the mother’s relationship to her own body and her emotional and physical connection to the child she is carrying. Come in to the Whole Family Health Clinic to see how our practitioners can support you through pregnancy! For more information or to book an appointment, contact us! Romm, A. (1997). The Natural Pregnancy Book: Herbs, Nutrition, and Other Holistic Choices. Random House, Inc., New York. Dean, C., Danylak, M., & Kaur S. (2005). The Complete Natural Medicine Guide to Women’s Health. Robert Rose Inc. Toronto, ON. Canada. Maciocia, G. (2011). Obstetrics and gynecology in chinese medicine. (2nd Edition ed.). Amsterdam, Netherlands: Elsevier, Ltd.
Barr, D., Bishop, A., Needham, L. (2007). Concentrations of xenobiotic chemicals in the maternal-fetal unit. Reproductive Toxicology. 23(3): 260:6. I wanted to say thank you once again to you & your team for helping us get through this is pregnancy with a positive outcome. Hey Cecil, Got a call from my GP today…i’m pregnant! Yay! Many thanks again! You rock! Cheers! Cecil, Thank you for all your help and encouragement throughout my pregnancy!